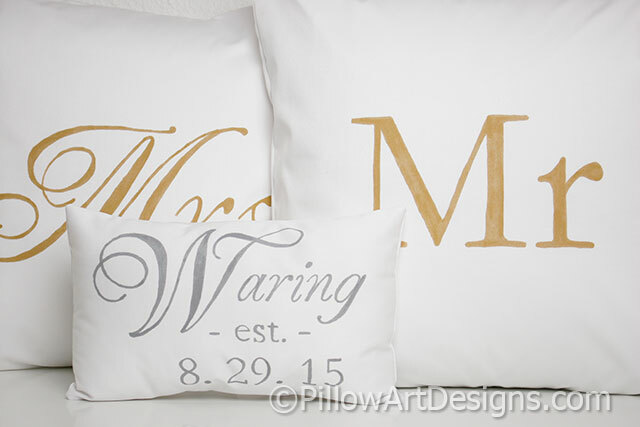 Couples pillow set includes Mr and Mrs pillow covers with small name and est date pillow. 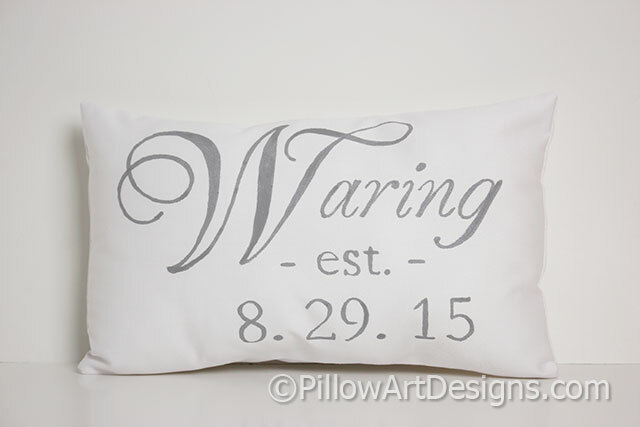 Perfect as engagement, wedding or anniversary gift, especially for the 2nd anniversary (cotton). 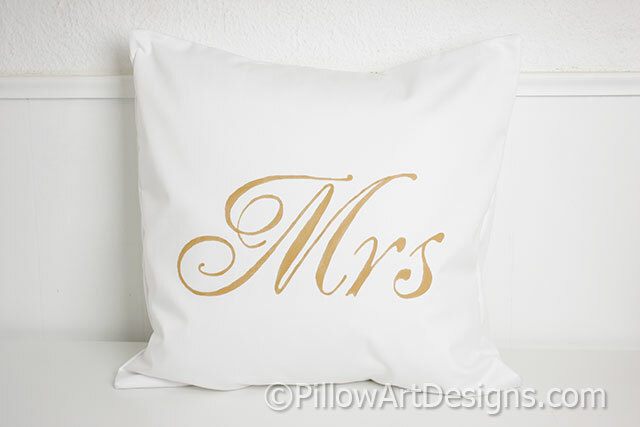 Pillow covers are made to fit 16 X 16 inch pillow inserts, not included. Small pillow measures 9 X 13 inches and comes stuffed with high loft polyester fiberfill, no need for an insert. Words are painted in grey. 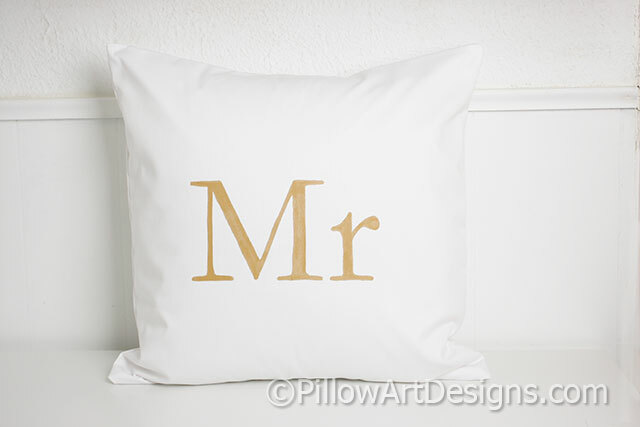 Mr and Mrs pillow covers hand painted in gold on white cotton twill, fully lined with white cotton polyester giving the covers a nice fit and finish. Envelope closures, seams are double stitched and overcast. Spot clean or hand wash recommended for best results and long life. To order, purchase this listing and remember to send me an email here with the name and date you wish for the small pillow. Please allow one week for me to complete your order and ship. Gift wrap and greeting card available for gift recipient, please contact me here to make arrangements.